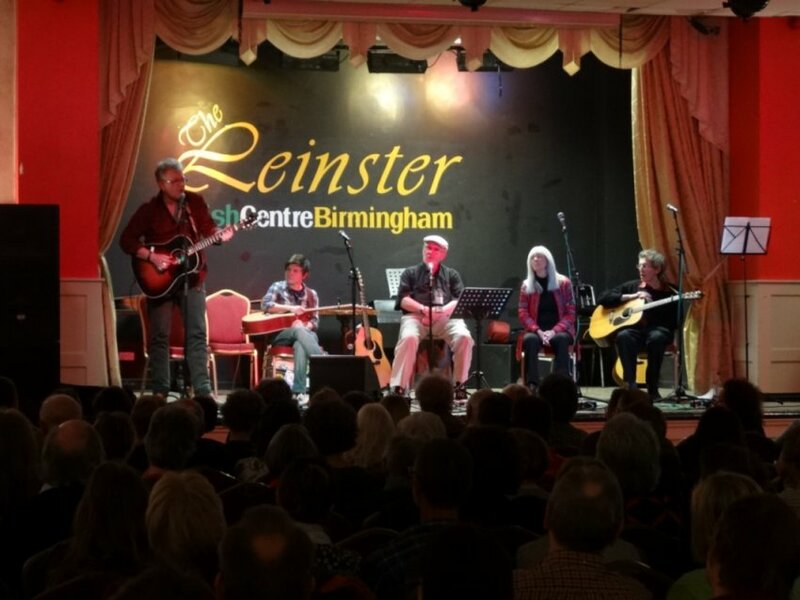 A host of big names in Folk Music came together in Birmingham for a concert of political song on Friday 24 April, just before the 2015 General Election. 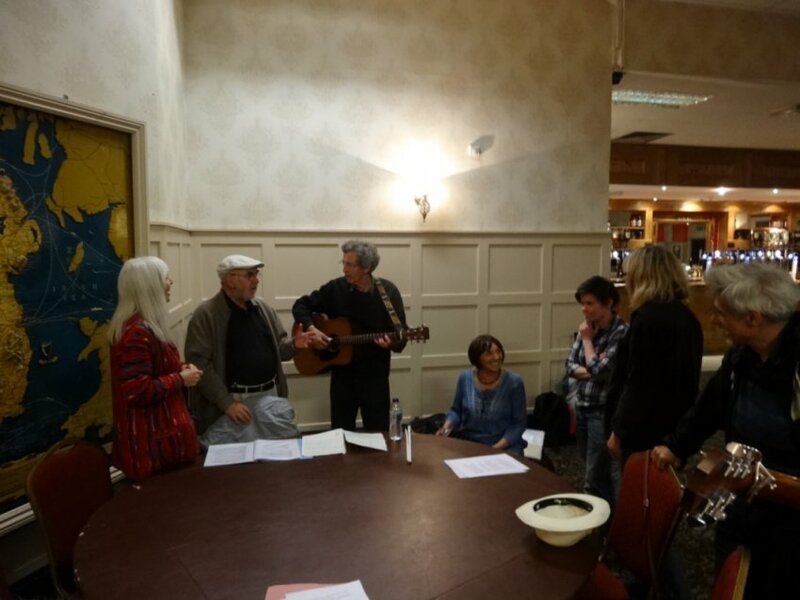 Having been writing and singing songs for over 50 years, these great names in the British folk tradition wanted to shout out their songs, songs to make us stand up on our feet and shout out about injustice, corruption and government failure. The whole Anti-Capitalist Roadshow team was in Birmingham for one night only. A night to ring the rafters, a night to shake the world, a night to hit back at all the toadies, bankers and backsliders who are dealing out devastation to working people everywhere. 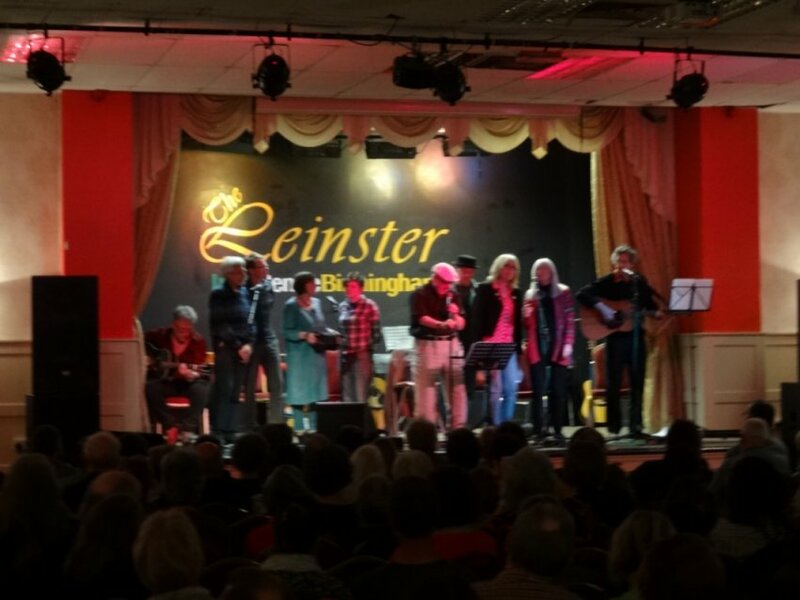 Over 200 people attended, and many bought the latest "Political Songster" featuring a song from each of the singers - further copies will be available at the monthly Sing Political sessions. 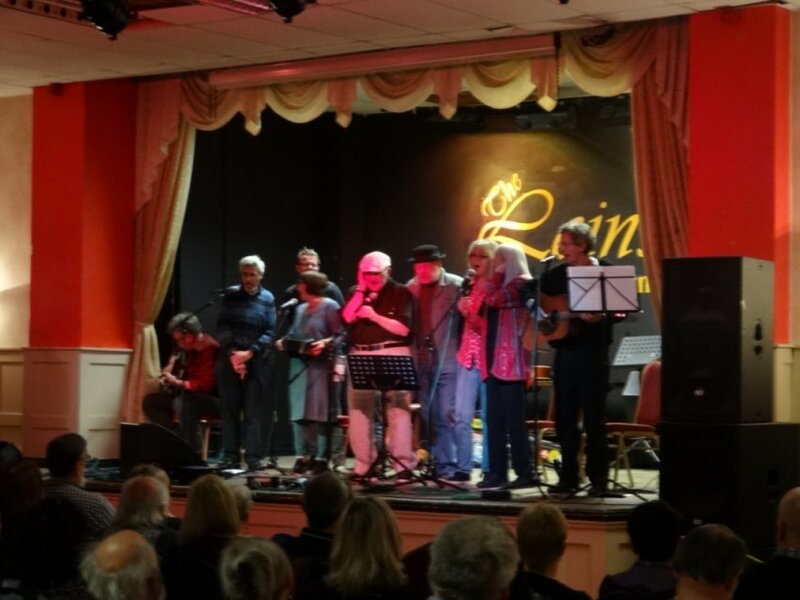 Thanks for organising Friday night's Irish Centre evening. Great concert - hope you were pleased. Some great music and atmosphere. Bonus for me - Robb Johnson one of my all time favourite British folk singer-songwriter performers - have seen him many times - plus I won a raffle prize and managed to win a Robb CD (one of the few I hadn't got) so double thanks. Thank you for a very memorable evening, a wonderful night which we will remember. We know that that venue was not the easiest, but you and the performers did very well to make it a great night. Also......very pleased to have won one of the mugs donated by Peggy in the raffle! Fan-blinking-tastic!! Really enjoyed it, but next time - introduce the performers! Great gig! Fab variety. Great stuff - keep it up! Great gig - well done all!